We love to do a little shopping once in a while but you know it needs to invest a lot of valuable and precious time. There are people who love to spend their afternoons in air-conditioned shopping malls while there are other people too who enjoy their afternoons in the comfort of their own room. Well, I am one of them when it comes to my wardrobe, I turn my side to online shopping. Thanks to beautiful and incredible online shopping websites that has made online shopping easy and affordable to almost everyone. Even when you find something suitable for you, don’t rush too fast. Most retailers and stores roll out discount on particular days of week. As according to research, Tuesday is the best day to purchase desktop and laptop from major retailers like Dell and Hewlett-Packard while Saturdays are bookworm special on Amazon. So, you need to find out that particular day and shop accordingly. In order to get best deals and to avoid overpaying install PriceBlink on your browser. This add-on is available for Chrome, Mozilla and Safari. This will help you to save time and will also notify you if any coupon available. Dynamic pricing trap is sneaky online strategy used by merchants to show different prices to different customers depending on location, your browsing history, current demand of product and spending pattern. You must have noticed advertisement of same products on social media that you might have searched one week ago. 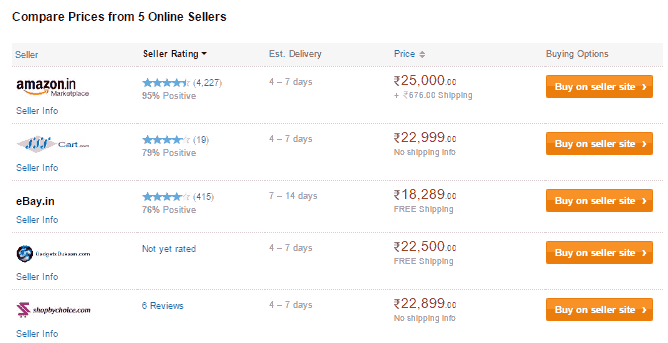 This may show you higher price as compared to other online customers. So, in order to get less biased price you must log out from social media accounts like Twitter, Email, Facebook etc and clear all your browsing history and cookies. Or you can just use your browser’s incognito mode to check the price. Banks tie up with websites so that they could get maximum payments through this channel. Many online sites provide 10%-20% cashback on particular bank’s credit or debit card. Most retailers just hate unclosed details and if you leave products in your cart then stores will send you better price deals. Want huge discount, festive season is for you. On Diwali, Christmas, New Year e-commerce websites offers huge discount from 10% to 90%. 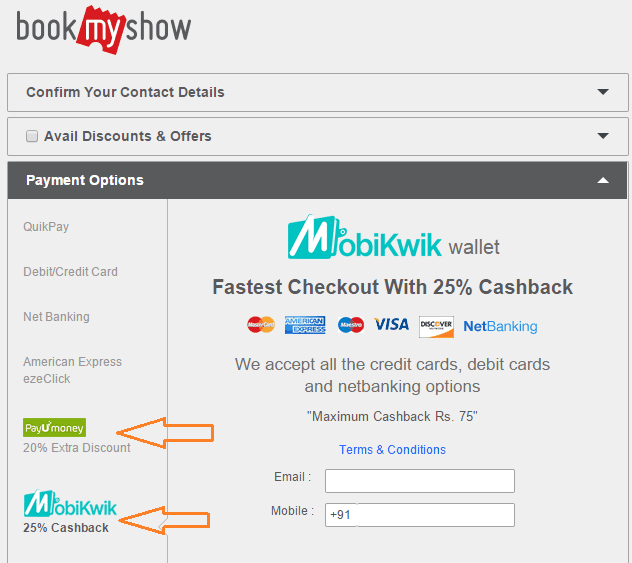 If you want other discount other than coupon then shop through e-wallet. 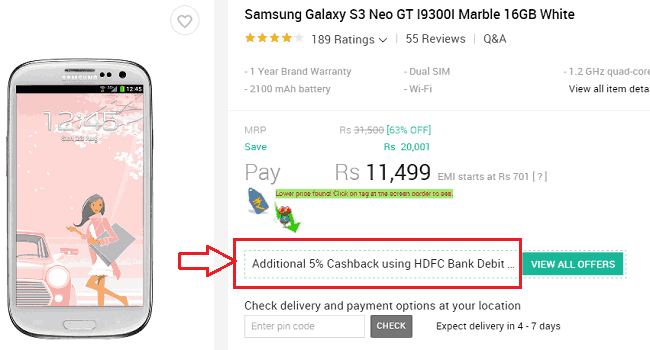 If not extra discount then definitely you will get additional cashback. Use Paytm, PayUMoney, MobiKwik. Before purchasing anything online it is better to compare its rate on other websites too. There are websites where you can compare prices on same products at one place only. These are Junglee.com, Shopmania.com, Mysmartprice.com and more. One of the best things while doing shopping is to get discount and sellers know how much you love that so they offer coupons to excite you so that you purchase more. So, it will save your money. You could find them in shopping websites or on coupon sites. Many companies provide discount coupons on emails registered for the first time. So, if you want to get free benefit each time you make purchase then use different emails for shopping. Shop for things that you actually need, don’t get trapped by discounts and coupons. These are just extra benefits to increase the sale. It would be better if you don’t do time pass on e-commerce websites. Discounts will create instant gratification environment and money back and replacement guarantee will invite you to purchase something. So, be conscious before landing any e-commerce website. If your discount coupon is about to expire and you actually want to make an order then call their hotline and ask to extend the validity of coupon. Signing up on coupon sites, promotional websites will help you to save huge bucks and it is also the matter of getting spammed emails. So, organize your emails or you could try Unroll.me add-on to instantly unsubscribe from junk emails.